Alice is a girly girl and loves her princesses. Her first love was Sofia the First and still is a favourite of hers, but over the years all the princesses have come into her life and I think she would struggle to pick a favourite one now. At the moment it is all about Belle, she recently went to some of her friends birthday party and the ‘real life’ Belle was there and she hasn’t stopped talking about her since. It was just so magical to see her face light up when she saw her and she came over to speak to her. When the new Beauty and the Beast movie came out at the cinema we didn’t get a chance to go and see it. My niece went and told us how amazing it was and I couldn’t wait to watch it with Alice. There is something so magical about Belle, especially when you see her in her beautiful ballroom gown. I’ve yet to meet a little girl who doesn’t want to be Belle. I know Alice is desperate for a Belle fancy dress costume. We went to buy her one a few months ago as a treat for passing her swimming certificate, but they didn’t have it in her size and instead she choose Princess Jasmine, which she does love. But I know deep down she really wants to be Belle. Thankfully it’s her birthday next month and we can get her one then. 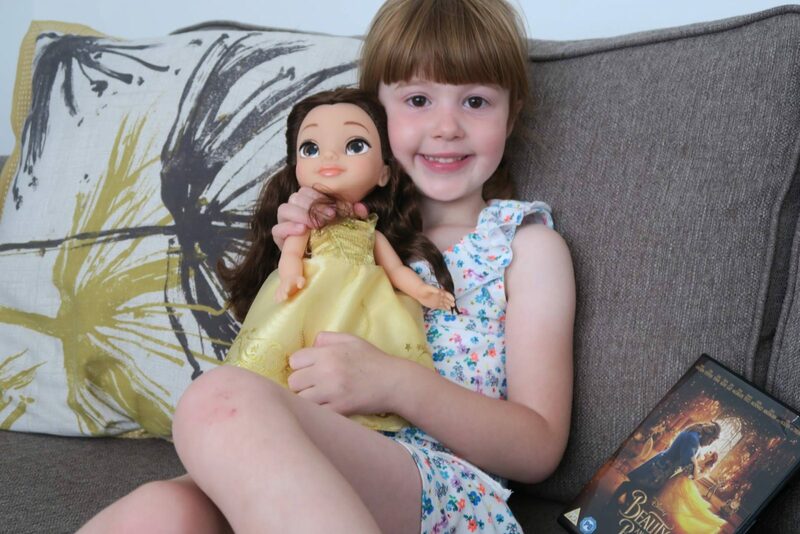 We were recently lucky enough to be sent the new Belle Toddler Doll from Jakks Pacific and a copy of the new Beauty and the Beast DVD. Alice was so excited when she saw the Belle doll, dressed in her ballroom gown. Totally inspired by the movie. 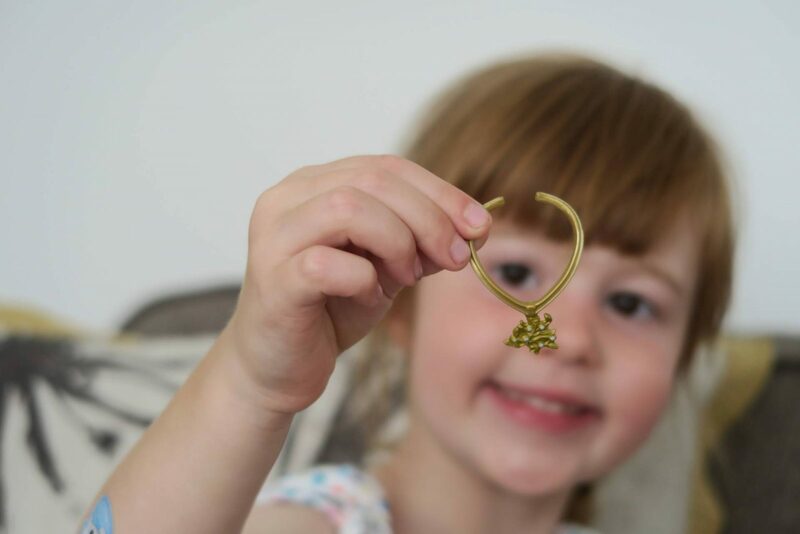 Of course she had a pretty necklace on too, which Alice is now asking if they do one in her size! 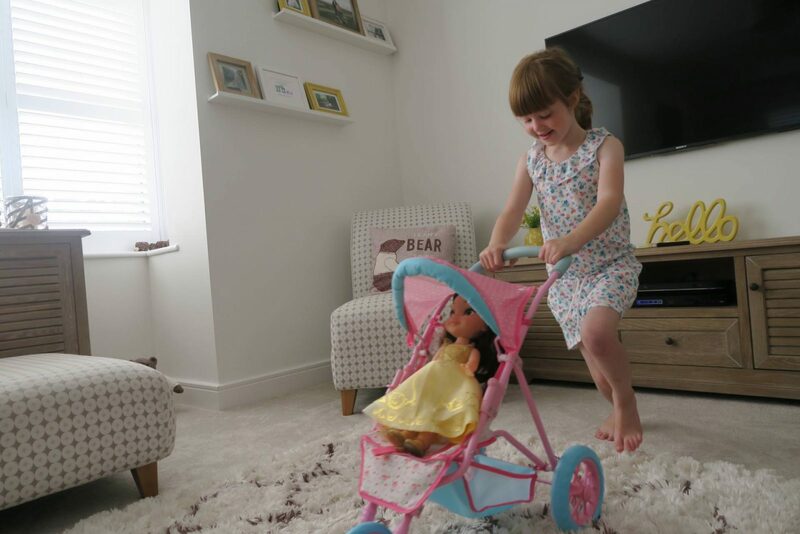 It’s safe to say that Alice loved her new Belle doll and at the moment she loves to do roll play and be the mummy. Which meant that Belle had to be her daughter and get pushed around in the pushchair. Don’t you just love their imaginations at this age. I have to say that her dress is beautiful and I know that it won’t be long before Alice can ‘twin’ with her Belle doll, in matching dresses. 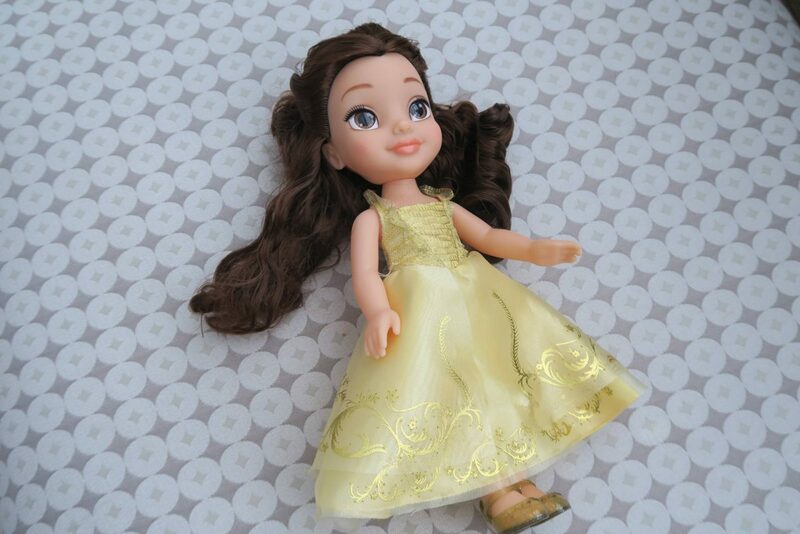 You can buy the Belle Toddler Doll from Jakks Pacific. 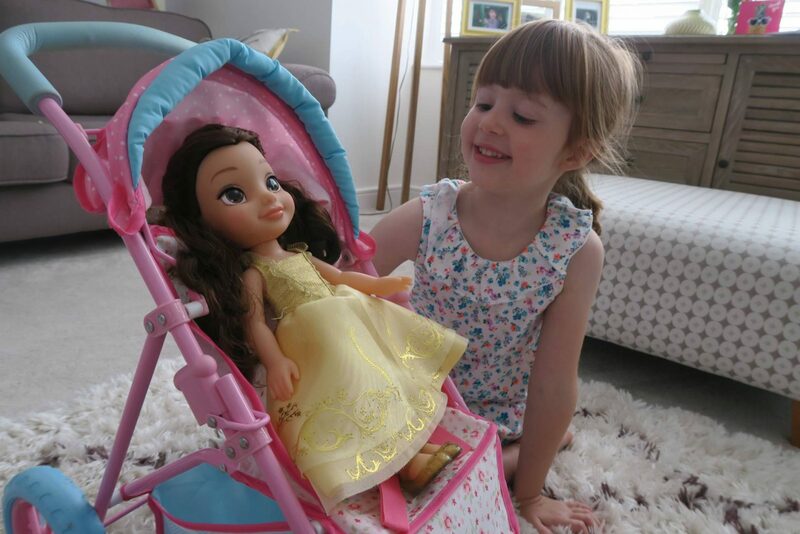 With the summer holidays nearly here, Belle is going to be the perfect play mate for this summer. Disclosure: We were sent a copy of the Beauty and the Beast DVD and our Belle Toddler Doll in return for an honest review. All views and opinions are my own.